Camping or heading off to foreign climes? Lucky you! But what about your garden? Gardens are sort of like children in summer. Busy and full of work. We offer you this Vacationers Garden Survival Guide so you can have a lot of fun on your trip. And a wonderful garden to come home to! 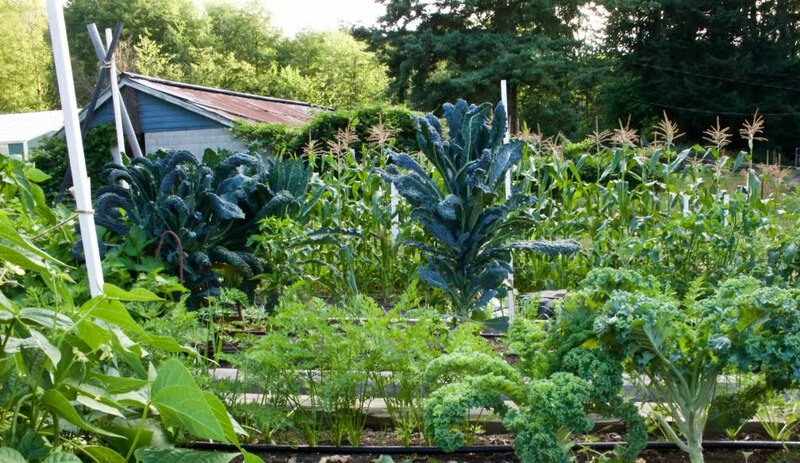 This garden survival guide will help you setup a garden for your away time. For just a short trip not much is needed. But if you plan to be gone several weeks or more…Finally taking that 2 month bucket trip to Tibet? Have fun…But a garden sitter is necessary. We have the time frames broken out for you along with tips and ideas to keep your garden alive, producing and in good hands while you are gone. Welcome to Our Tuesday Garden Blog Hop. 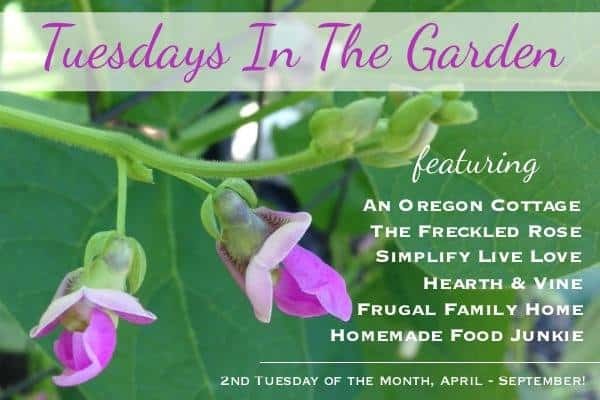 The second Tuesday of each month our group of five experienced, energized and successful gardeners from all over the U.S. team up on a them and post our tips, tricks and hints for you. This month our Theme is How to prep the garden for your vacations. We all have great ideas from several different climate zones. At this post’s bottom you will find the links to our other Gardeners. Please visit all of them and learn all you will need to know if you are planning time away from your garden this summer. For a garden this size prep for away time takes some planning and set up. Your garden should be fine with a thorough watering, weeding and harvesting beforehand for short absences of three days or less. You may have some catch up chores when you come home. But nothing too difficult. gardens can take care of themselves for several days without worrying too much. Just water, weed and harvest them thoroughly before you leave. If Possible, arrange your planting calendar around your vacation so the crops meet the harvest dates in your area when you are home. mulching deeply will keep the weeds at bay and the water will stay in the soil where your plants can sip at leisure. Set up a timer on your sprinkler or drip irrigation system if you live with very sandy soil that won’t hold the moisture for the length of your trip. Don’t leave VERY new transplants and seedlings unless you have a garden minder. Keep containers in rain catch basins under them to retain the water they get. They will need at least one heavy watering if it’s dry out. For one week or less your garden harvest may get a bit over done but still be useable. Optionally call on a neighbor, friend or relative to pick the crops if necessary and check on the plants. (or find someone to do the planting and picking for you). If you are leaving for one week or less Ask friends or family to stop by and harvest crops and check on things but not much actual work should be required of them. DEFINITELY Set up an automatic watering system WITH TIMERS. Ask someone to pick crops, hand water containers, flower beds and your garden as needed. They could also deadhead spent blossoms, weed and attend to the mulch. Replant for you as necessary if agreed. A dedicated heavily mulched raised garden bed makes Asparagus much easier to manage. Mulching deeply helps retain water in the beds around the crop roots where they need moisture. Drip hoses and automatic watering systems make garden life and vacations so much easier. Vacationers Garden Survival Guide for over two weeks away. Your garden needs a sitter. In fact by this time ALL of your plants, flower beds and containers need regular tending. Time to get some reliable steady help. Craigs list (or local paper) Ask for references. This is a big trust job. You don’t want flakes or bad guys on your place so be careful. schools-teens looking for summer work (ask for references or ask them to come help you so your know they understand the job and will complete it correctly. churches-find other gardeners or ask friends. Maybe your church has a ministry with volunteers that will help. feed store reader boards for teens looking for summer jobs. Be careful to hire good help! Offer to trade garden work to another gardener for their care of your garden while you are away. Your local Cooperative Extention Service will likely have a list of the local garden clubs and so will Google. Zucchini squash is putting out zucchini. Now the fun begins! We all know what happens the harvest is on. 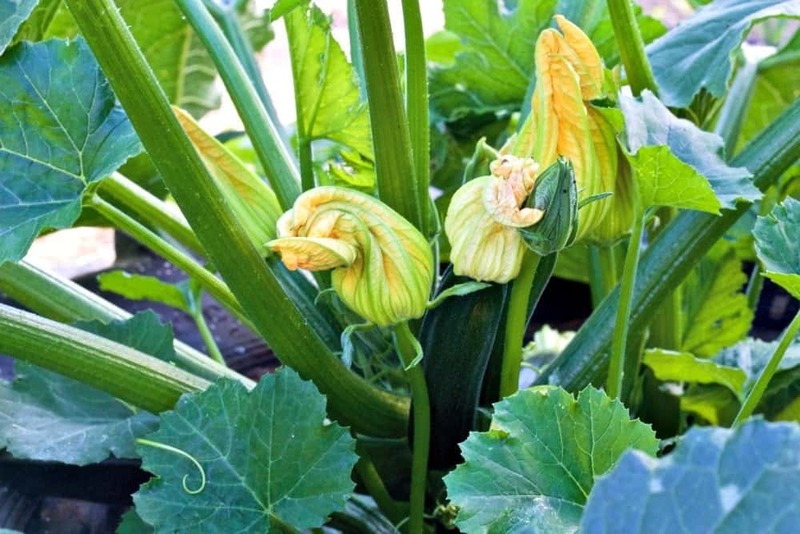 Zucchini for example will NOT be ok after two weeks unpicked. Hire, swap or trade with other gardeners or neighbors to harvest your crops for you so they don’t go to waste. Zucchini just keep getting larger and larger when over ripe. No one needs that much zucchini! Automatic waterers with a timer system will reduce the load on your garden helper in the hot days of summer. Meet with the helper at your garden before the trip. Gardens are viewed differently by people. What you see is not necessarily a problem for another person. Contrarily, maybe your tender will drive you crazy with garden talk while you are on your trip. Phoning over every detail. Communication beforehand and setting boundaries will help with this. Have a chore list and Garden calendar for them with planting and harvest dates. Know what you are planning to do with the harvested crops. Maybe the garden tender gets the crop or someone else will who can come pick the crops. Some helpers may even can or freeze your crops for a share of the yield! Write special concerns down for them. Give firm return dates for your trip if possible. Make sure you leave your own contact info. Phone, email and your Itinerary if it helps them find you. Look at your garden through the helpers eye. What would make their job easier and more doable? Ask them! Prep your garden well before departure so they have little to do the first week. Leave all required tools and amendments where the garden tender can easily find and secure them. (label your tools for easy identification). Potatoes wilting from an infestation of flea beetles. Bug infestations happen regularly in most gardens. Have a plan for this when your gone. Share it with your garden tender. What are you ok with in your garden? Garden emergencies happen. Make sure your helper can contact you if something comes up they need to discuss. Expect to have some garden work to do when you return. There is no one who knows your garden like you do and how you want it. Have a great trip! What did we miss? Have suggestions for our Vacationers Garden Survival Guide? Please comment and help us make this post better! Please visit all of our gardeners and read their ideas on prepping your garden for vacations. Everyone has great ideas and experience to share with you. Happy Gardening! These are great tips, Diane – thanks! Hi Jami, Dave is with you. I told him I want a summer vacation and he looked HORRIFIED! But he has the garden set up so well I know we could get away with very little help. I’m going to make him do it one of these days. These are great tips Diane. I especially love the one about finding another gardener to swap vacation duties with. Genius! Gardens are a lot like kids. Ha! So very true. Helpful post, Diane. I know first hand how hard traveling can be on gardening!! It’s a challenge to be gone so much. You’ve traveled a LOT this year! This is such a wonderful guide Diane. I love how you broke the tasks down for the length of time you’d be gone. Love all the tips. Thank you Shelly,We have been both the vacationer and the garden tender for vacationers over the years. Things we have learned…Have a great Day!